SAN DIEGO — With so many recent disasters, I’ve been checking on friends and acquaintances I knew were in harm’s way, which brought me to the website and Facebook page of one of my favorite boating cookbook authors, Carolyn Shearlock, co-author of “The Boat Galley.” I was delighted to discover her sailboat, docked in the Florida Keys, had escaped destruction – thanks to thoughtful hurricane preparation (detailed on her website theboatgalley.com) and good fortune. My online explorations also led me to discover Shearlock’s new e-book, “Storing Food Without Refrigeration,” a valuable resource for anyone cruising with limited refrigeration. How I wish I’d had her book when Arv and I were cruising the Chesapeake Bay with limited refrigeration! Eventually, through trial and error, I discovered what foods I could safely stow outside the fridge, even during humid East Coast heat, but I tossed a lot of spoiled food. If you’re planning to head south for a lengthy autumn cruise, now would be a good time to start making your provisioning plans. Shearlock, both on her website and in her larger book, provides useful provisioning guidance. Depending upon the length and destination of your cruise, you should plan to have at least two weeks to two months’ provisions on board, including fresh foods such as vegetables, fruits, eggs, milk and proteins. In small towns and villages along the Baja coast you’ll be able to replenish some of your basic fresh foods, but for others you’ll need to wait for markets in larger boating communities. If you have a household-sized refrigerator and freezer you can operate underway, you’ll have fewer concerns about food storage. Reserve space first for your meats and seafood requiring chilling. But even if you have limited refrigeration, you can still cruise for extended periods and enjoy tasty, well-balanced meals. You just need to be more creative in your provisioning, food storage and meal planning. From Shearlock’s work and another favorite – Kay Pastorius’ “Cruising Cuisine” – I learned many food items we Americans routinely refrigerate, such as eggs, condiments, many fruits and vegetables and even butter, can be safely stored outside the refrigerator in properly set up cool storage areas. Key to prolonging freshness and avoiding internal rot is to purchase never-refrigerated produce and eggs at farmers markets whenever possible. Shearlock’s tips include wrapping cabbage (a great substitute for fragile lettuce in salads) in newsprint or paper towels to preserve it for up to two months and carrots and celery in aluminum foil to keep them up to two weeks outside the refrigerator. She explains wrapping citrus fruit and apples individually in foil enables them to last up to one month or more without chilling, if they’re stored in separate locations. 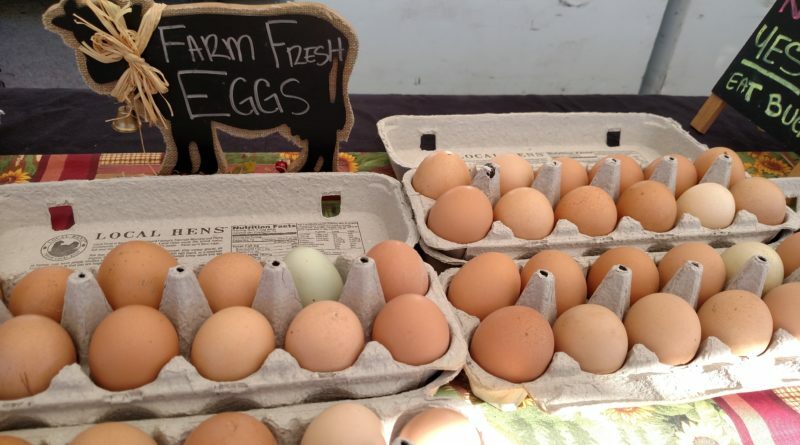 Eggs, too, can last one to two months without refrigeration if stored carefully and rotated daily. Most condiments, including mayonnaise, keep well outside the fridge as long as you avoid bacterial contamination. Use a clean utensil each time you access a jar, or, better yet, a squeeze bottle that never touches food. With good planning you too can eat well while cruising with limited or no refrigeration.